When conducting any concreting work, we know how important it is to get the job done right the first time. With so many companies on the market however, you need to be careful when making your decision. 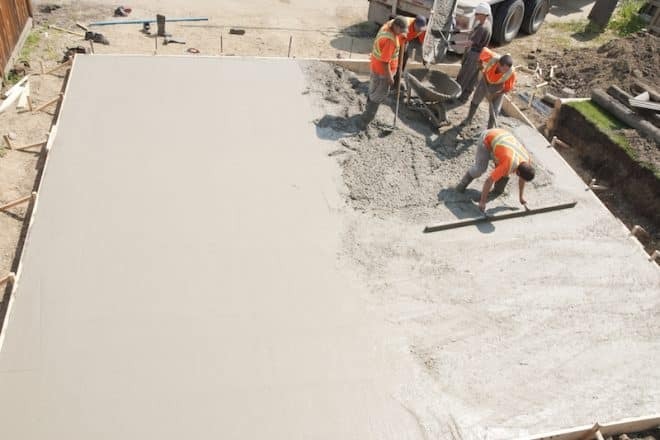 The concreting company that you choose should be reputable and trustworthy, so there are a number of factors that need to be considered. A contractor with a minimum of five years experience in the industry can signify someone with a stable and reliable commitment level. It would be less than ideal to hire someone and then have them pull out at the last minute, or complete the job to a less than satisfactory level. Another added bonus is that an experienced contractor or company can help give you advice or indications into the job you are completing, giving you guidance into maintenance and what is to be expected. While in this industry, having a degree isn’t necessary, it is important that you are familiar with the qualifications your contractor has. You should ask to see a copy of their licenses, registration, ABN and any other supporting documentation. This can save you from losing money in the long run, if a job isn’t completed to the adequate standard. A lot of companies will have customer testimonials provided on their website. While these may be glowing reviews that have been hand selected, they can also indicate the strong suits and potential flaws that may occur when working with this business. It would also be beneficial to look around the internet at third party websites, this can help in finding customer reviews that are completely transparent, giving you an insiders perspective on jobs they have completed in the past. When working with any trade, it is absolutely essential that whichever company you choose, have adequate insurance. In concreting, chemicals can be toxic and operations can be somewhat dangerous, so ask to see proof of their public liability insurance. It may also be handy to research what may happen if things don’t go as planned, and whether a portion of the job is covered by insurance. This refers to a number of different facets of the business or contractor. All communication between you and them should be open and honest, encouraging two-way communication. They should come across as informative and trustworthy, as if they aren’t trying to confuse you into a contract with a lot of industry jargon. Good and transparent communication is key when forging a good relationship, and this can contribute to a seamless and stress-free professional experience. Any reputable concreter will provide a quote for free. They should be no-obligation and encouraged by the company, as this is what their team of experts is there for. Their quote should be easy to understand, specifying exactly what will be included in the total cost. If this process isn’t completed properly, it becomes very hard to compare this business or contractor with you’re the other quotes you have collected. This can create quite the headache. While it may seem discourteous to discuss money, it is crucial that you do. There are some business’ out there that operate on a cash only basis, this is an indication that there is something shifty going on. A reputable concreter will offer an array of payment options, spanning from cash and EFTPOS right through to a bank transfer. Even if you are an industry expert, there are still many factors to consider when selecting the perfect concreter. These are just some of the things you should be looking out for when conducting your research, this will allow you to save time and money, while establishing a great relationship with the contractors in your area.